wow, i've tried almost everything to make it work, but I wasn't aware of how the "Create Event" worked. Ran into an issue when trying to save "Va Rest Json Object" into a game slot. It will initially create the object but the save file will just save it as NONE. I am still learning but I assumed i could save any type of data via "SaveGametoSlot". Could anyone clear this up for me? Is there another way? Only option i can think of is to save a JSON as a string into the game save slot. Great Plugin otherwise and thanks in advance for the help. Hey! I might be missing it but I don't see a way to do what I am looking to do (and it is called VaRest so it might not even do it ). I have a socket.io server that is returning a JSON object. I am using the socket.io client to get the data (see here https://forums.unrealengine.com/show...cket-io-Client) but it only brings it back as a string, so I really just need to parse my string versus working with a response object. You're using Construct node three times, and each time you will get new object. Just cache the result into variable and use it instead. Also, it's asynchronious node, you should use ApplyUrl or bind a delegate. I get the same unknown error when packaging for HTML 5 with the plugin enabled. Packaging for Win64 works fine with the plugin enabled and disabling the plugin allows packaging for HTML 5. I am using the plugin, installed from the marketplace, with UE 4.11.2 provided by the launcher. I am too having problems exporting to HTML. I started from a blank project with only the attached code (in the level blueprint), and the plugin enabled (installed from the marketplace). My Unreal version is 4.12.5. Also attached is the error log. Is there any known previous version without this issue? MainFrameActions: Packaging (HTML5): Automation.Process: Setting up command environment. MainFrameActions: Packaging (HTML5): UnrealBuildTool: error: Linking globals named '_Z14UELinkerFixupsv': symbol multiply defined! Last edited by SuperRey; 08-07-2016, 01:16 PM. I updated to 1.1-r15 and now I am able to export to HTML but I get error -1 all the time. (But not the marketplace version, I am using the GitHub downloaded version). Last edited by SuperRey; 08-09-2016, 12:37 PM. After a few hours testing, I think I found the culprit for the -1 response codes. In my case, it was a problem with same-origin policy. I find it out looking at the browser console ouput. Now I am testing with localhost requests and it seems to work fine. Now I am going to set my remote server to accept cross-domain petitions. 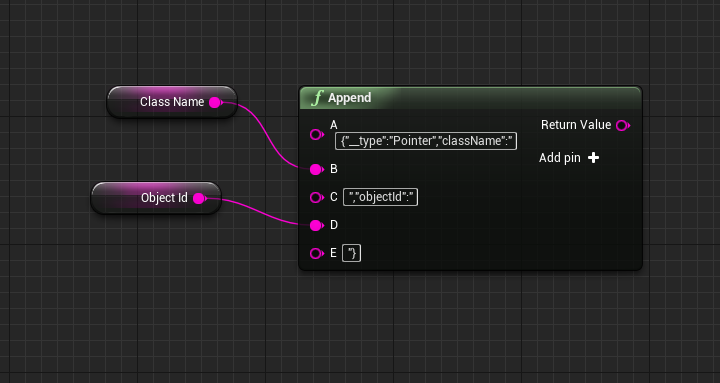 if not is where no other way with the nodes available to crerte a pointer object. as im using nodechef which using the parse api. Oh of course.. silly me.. thank you for helping. I only have a one simple problem, I don;t know how to capture whole Json data received from a website into separate variables inside unreal. Could someone show me and everyone an example or point to the right direction? I saw few people asking and they were ignored.